Want to do an action that really means something? The First Nations Child and Family Caring Society has seven of them and none of then will cost or your learners a cent! Kairos Canada “Winds of Change” – an electronic letter to your MPP/MLA. With dedicated links for every province. 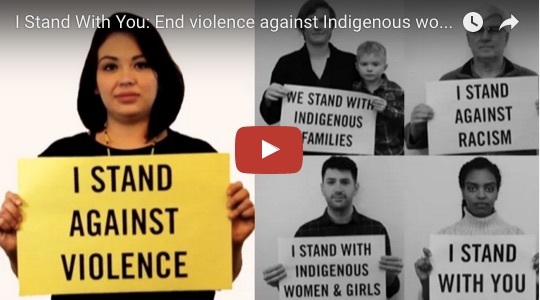 During the inquiry into Missing and Murdered Indigenous Women and Girls, take the Amnesty International pledge to stand with Indigenous women and families to end the violence. Sign the Lead Now petition urging the Premier of Québec to stop the clearcutting of Algonquin lands and respect the signed agreements.